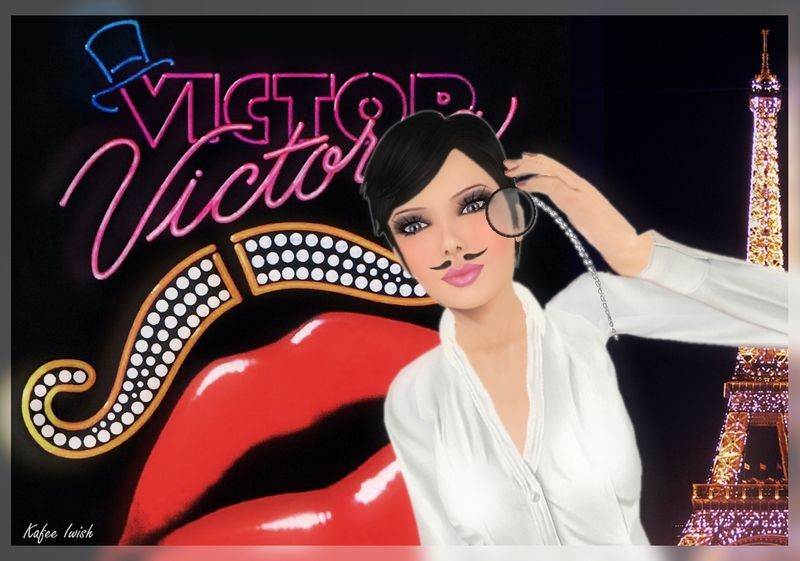 Paris, 1930, enjoying the nightlife… Is she a boy or a girl, Victor or Victoria? A closer look will maybe give you the answer, but does it really matter? Holding the (VW) Classy Monocle, designed by Redd Columbia for VINTAGEwear. You can get this monocle by joining the VINTAGEwear Update Group. It comes in a very cute box and has 3 options. A holding position for woman and a holding position for man. And also one for wearing the monocle on your eye. Get yours, stop by VINTAGEwear and click the subscriber.